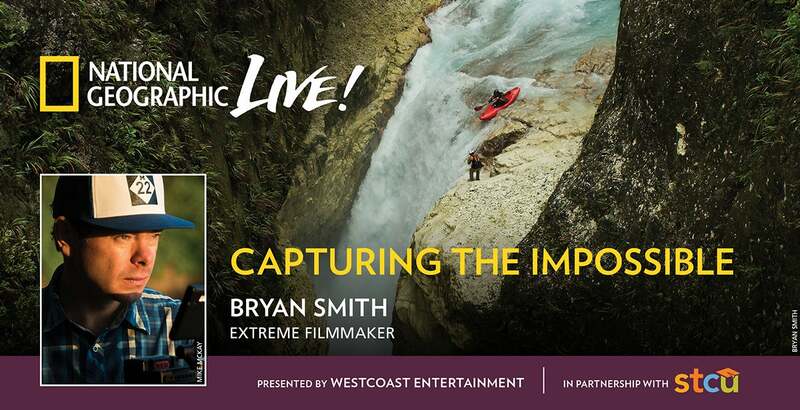 For extreme filmmaker Bryan Smith, there is a blurry line between taking big chances or not while exploring the earth’s most remote environments. You’ll be on the edge of your seat as Smith shares his philosophy on adventuring with purpose, and why he believes the best expeditions are those with a healthy chance of failure. Smith has faced machete-wielding locals in Papua New Guinea, suffered frostbite during the first-ever ice climb of Niagara Falls, explored the South Pacific’s deepest canyons, and scaled North America’s tallest mountains, all to capture the impossible. The event is approximately 1 hour and 30 minutes.